** This post is the first in a series of blog posts on solitary confinement in Illinois. 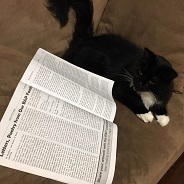 For information about this blog series read this introduction. The US government claims to hold 80,000 people in solitary confinement. The true number of people in solitary is likely significantly greater given that many states hold prisoners in conditions very similar to solitary but don’t call it by that name. In Illinois, the Department of Corrections calls it “Segregation” and “Administrative Detention” and states that on any given day 2,500 – 3,000 people in Illinois are held in solitary confinement. Though conditions in “protective custody” are extremely similar to those in Seg or AD, people held in protective custody are not included in that total. The public is told a narrative about solitary confinement – that it is a necessary resource of the Department of Corrections to isolate dangerous predators who have harmed guards or other prisoners and whose presence in general population is a safety threat to everyone else. Our inside members have shared a different narrative that views solitary as a method of control and subjugation, a tool to break people who do not conform to what the prison deems a “model inmate”. 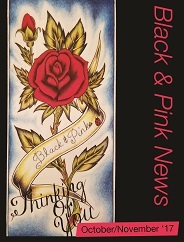 There are a host of behaviors, mindsets, and identities that prisons deem “a threat” to their ability to continue on with business as usual: filing grievances; speaking out against unfair/abusive treatment; involvement or connection to radical/revolutionary movements or literature; simply for being a person of color, Black, Indigenous, queer, or trans. 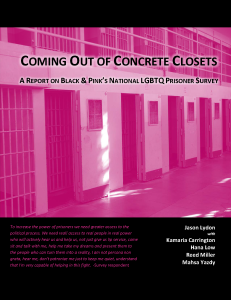 As in “free world” society, homo/transphobia and transmisogyny are rampant throughout prison, but they have a unique impact on folks in solitary. 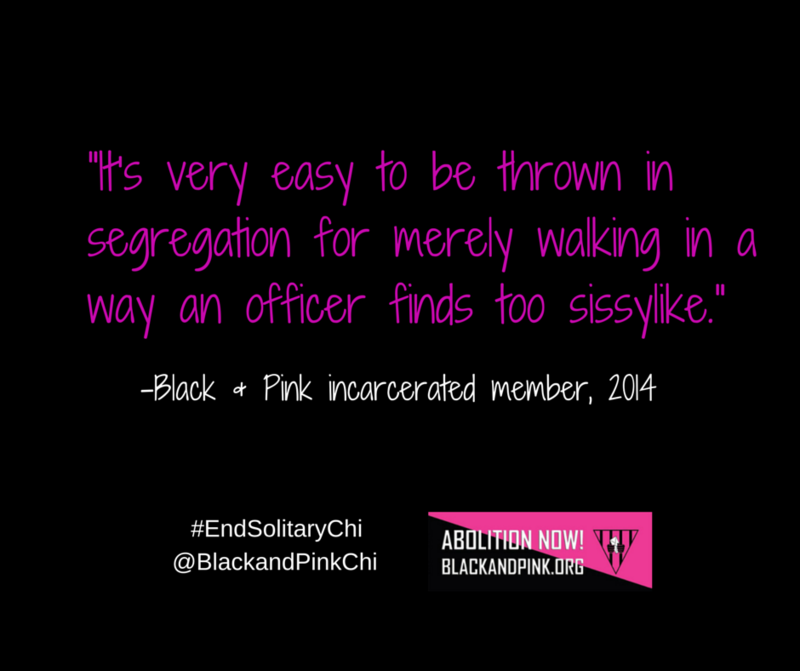 Here, several Black and Pink members explain some of the ways in which queer and trans prisoners are placed in solitary. people throw urine and feces when you are going to the yard so many LGBT people don’t go to the yard and don’t get exercise. Being locked up is horrible to begin with if you a known LGBTQ it is much worse. LGBTQ are singled out soley for that reason and end up in solitary for essentially for being who you are.